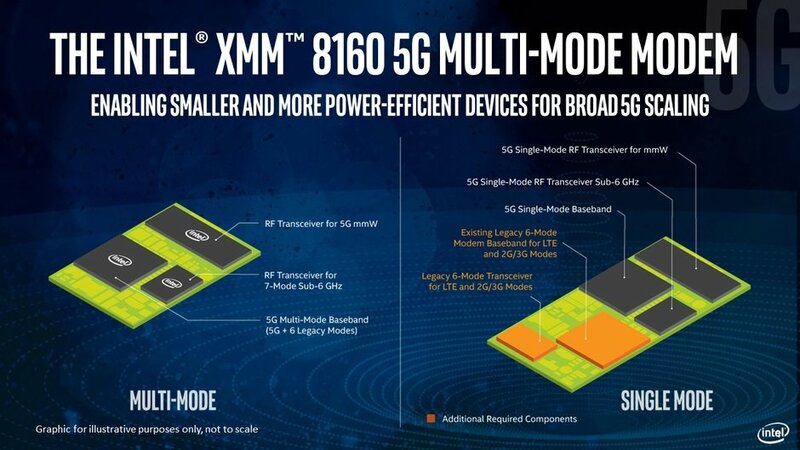 The Intel XMM 8160 was officially unveiled today as Intel's first 5G modem. The company stated that the new modem will be available to manufacturers in the second half of 2019 and expects that the first devices with them will be on the market early 2020. Intel is not the only company in the 5G race. We've already see Qualcomm announce its Snapdragon X50, and Samsung it's Exynos 5100. Network operators and phone manufacturers are working hard to prepare their products with the promise of blazing fast speeds for customers. Intel has been working on their 5G modem for quite a while now and we can see they've put that time to good use. 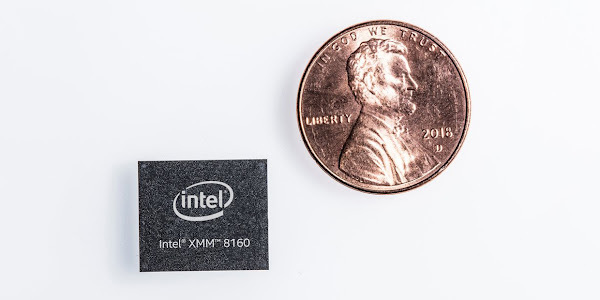 Intel's XMM 8160 is an all-in-one solution when it comes to modems. 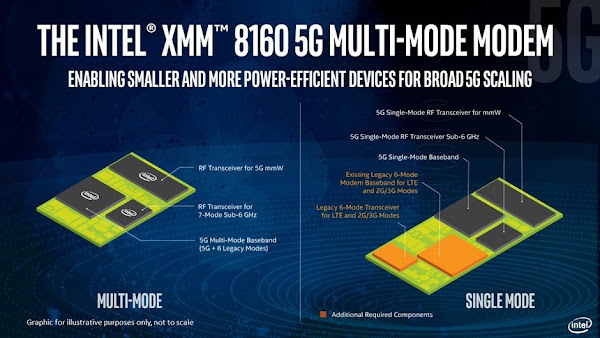 Intel's modem will also support 4G, 3G and even 2G speeds alongside 5G, while competitors will offer separate products for 5G and legacy connectivity. The single chip will allow for smaller circuit boards, which in turn will allow smartphone manufacturers more space for batteries while opening the window for smaller smart devices with 5G connectivity. This is important since one of the biggest advantages of 5G is expected to be the improvements it will bring to the world of Internet-of-things. Intel’s 5G modem will also bring “peak speeds up to 6 gigabits per second, making it three to six times faster than the latest LTE modems available today”. The chip will support all the necessary bands, from the 600 MHz - 6 GHz range to the mmWave frequencies that start from 24 GHz. With Intel becoming the sole supplier for modems on the 2018 iPhones, we can't help but wonder if Apple will once again select this Intel chip for their first 5G capable iPhone in 2020.